Mary-Kate Olsen secretly ties the knot! Mary-Kate Olsen has reportedly married Olivier Sarkozy. 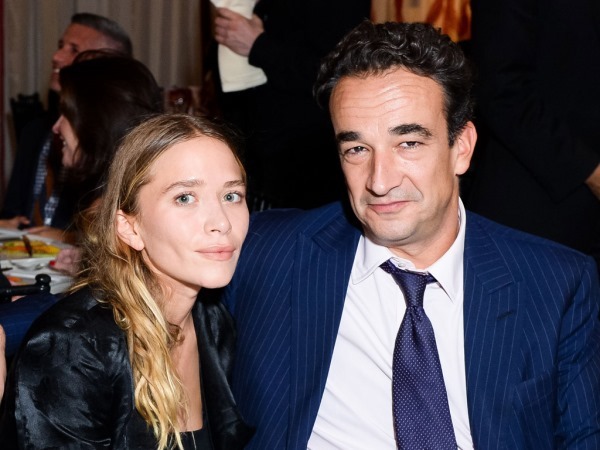 Mary-Kate Olsen has reportedly married Olivier Sarkozy. The 28-year-old former child star turned fashion designer has been in a relationship with the 45-year-old French banker since 2012. And Lucky Magazine reports a “well-connected” source confirmed Mary-Kate and Oliver are now man and wife. News broke of the pair’s engagement in February of this year and speculation of marriage first arose when they were recently photographed both wearing what appears to be wedding rings while dining out together in The Hamptons. It’s been claimed Mary-Kate and Olivier are interested in having children together soon. Sources told Us Weekly magazine previously the couple are now “talking about trying to get pregnant”. While this will be the first marriage for Mary-Kate, it would be the second for Olivier, who has two children, Julien, 14, and Margo, 11, from his former union. It seems Mary-Kate has enthusiastically approached the idea of becoming a parent by treating Olivier’s kids with special care. “Mary-Kate has made him a better father. She remembers all the kids' special events," a source previously told the magazine of the husband and wife-to-be. "She thinks he's a great dad." For now it’s not known exactly where Mary-Kate and Olivier are planning to establish their family home. Over the summer Page Six reported they were rapidly searching for an alternative residence somewhere in the uptown area of Manhattan in New York City. It was also claimed the pair are considering moving to a more low-key neighbourhood like Turtle Bay.